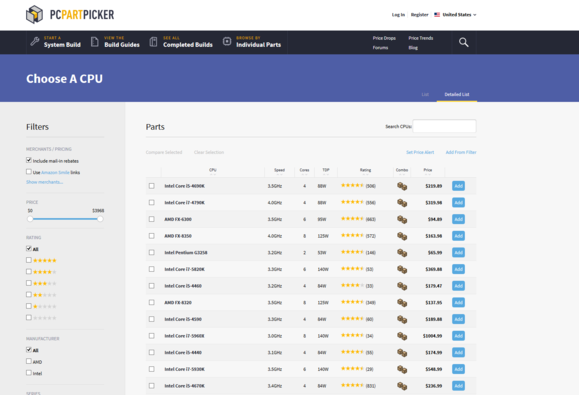 Good news if you're looking to build a PC anytime soon: PCPartPicker just launched a fairly extensive site redesign that adds (among other things) price filtering and custom build guides. 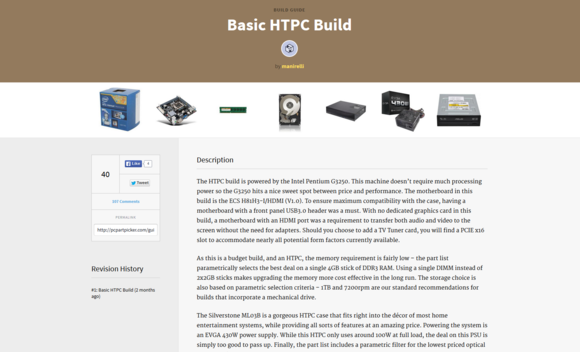 I've long used the site for my own PC builds and recommended it to friends/family for theirs. Heck, "Use PCPartPicker" is one of the tips in PCWorld's guide to avoiding common PC building mistakes. If you've never heard of it before, PCPartPicker lets you start plugging in components for your build (CPU, GPU, motherboard, etc.) and makes sure everything is compatible before you drop big bucks on hardware. It also has killer filtering options if you're still in the planning stages of your build. Have a specific number of CPU cores in mind? You can sort by that. Want to buy the cheapest CPU possible? You can do that too (though I wouldn't necessarily recommend it). Want to know whether that GTX 980 will fit into the case you're buying? PCPartPicker has you covered. 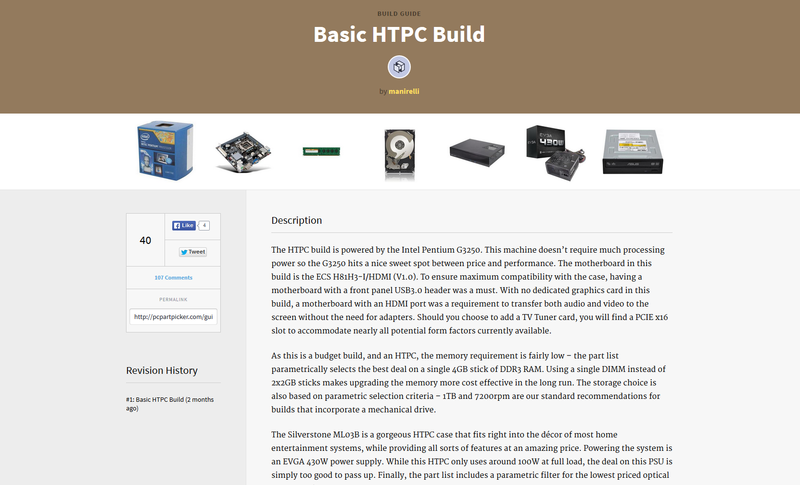 PCPartPicker takes a lot of the guesswork out of building a PC, which is always a good thing. And even better, it collates current prices from Amazon, Newegg, TigerDirect, and a handful of other sites (plus historical pricing data) to surface the best deals for components. PCPartPicker is basically the site I recommend most next to the /r/buildapc subreddit. They're both fantastic resources that have made building your own desktop nearly as simple as putting together an adult Lego set. The new site redesign overhauls the look of the site, making it a lot easier to use. Site performance got a kick in the pants. You can filter parts by price now. Numerous other small improvements abound. But the biggest change by far is the ability for the community to create its own build guides. 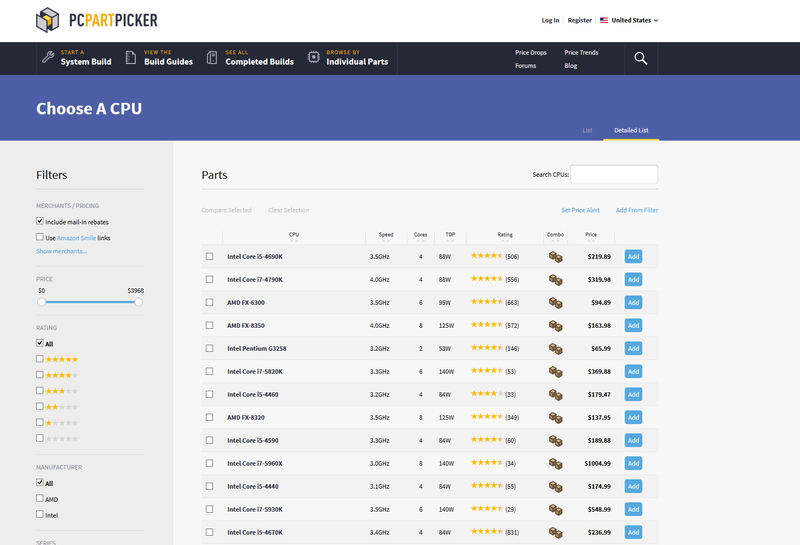 As staff wrote in the official announcement, "Up until now only staff could publish PCPartPicker build guides. We've opened it up now so that anyone can create and publish a guide. You can also view other guides, as well as vote and comment on them. Feel like you have the best idea for an Intel or AMD based build? Create your guide!" The hardest part now will be filtering the signal/noise ratio in build guides. There are already a ton of great-looking gaming builds on the site, and as that number balloons it might be hard to find what's really the best, especially once new hardware is released. In other words, when the inevitable successor to the R9 290X or 980 releases, will everyone update their guides with new parts or will we be left with thousands of outdated builds on the site as time goes by?